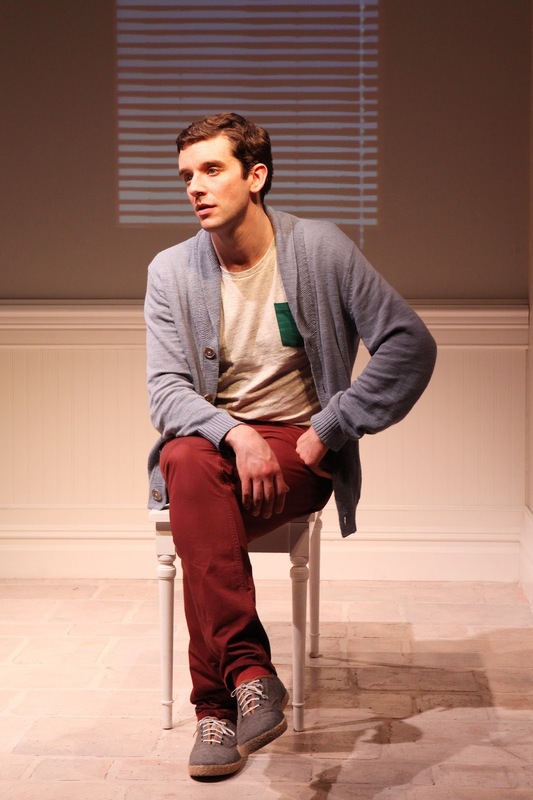 The young man, Alex Moore, is played, most impressively, by Michael Urie (best known as Marc St. James on TV’s “Ugly Betty”). He’s an unemployed actor who, though not initially a rabid Streisand fan, gradually falls under the lady’s spell, even before he actually gets the chance to meet her. As the days pass, he yearns for a glimpse of his famous employer, and one day, she wanders down in the guise of an ordinary “customer.” Without introducing herself, she tests him by trying to bargain him down on the price of a doll. Eventually, she lets down her guard, and a friendship of sorts develops, or Tolins asks, can one really be “friends” with a star of Streisand’s proportions? Urie is most engaging playing all the parts – Alex, his boyfriend Barry (who becomes increasingly jealous of Alex’s infatuation with Streisand), property manager Sharon, Streisand’s husband, James Brolin, and of course, the lady herself. As Barbra, he affects a Jewish-Brooklyn attitude rather than a spot-on imitation of how she really speaks these days, but it works. I found myself wondering whether Streisand would be amused or offended by the portrayal and the play’s overall conceit. Tolins has done his homework, to be sure, and has done his best to rely on many of her own public statements in interviews. And Streisand comes across, in part, as a likeable Jewish mother even, at one point, trying to hook Alex up with her son Jason, As Streisand comes to trust Alex more, she even allows him to coach her for her planned “Gypsy” movie, a droll conceit. I suspect that, given her oft-stated insistence on the Truth, Streisand might not appreciate the ribbing – however gentle – of her eccentricity, self-absorption, and various obsessions. Still, the overall impression that emerges from Tolin’s portrayal is likeable if ultimately untouchable. Andrew Boyce’s set consists of just a table and chair, and white backdrop. But Eric Southern’s colored lighting and Alex Koch’s projections provide visual variety. Throughout, we hear instrumental strains of some of Streisand’s recordings which serve as witty scene setting. 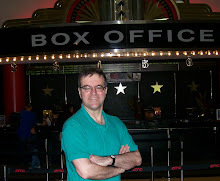 The play runs about an hour and forty-five minutes, without intermission, but thanks to Urie’s skill and Stephen Brackett‘s resourceful direction, goes by in a flash.